For award-winning Palestinian director Hany Abu-Assad, cinema serves as a tool of resistance. From escaping to the cinema as a child to his own 2006 Golden Globe winning and Oscar nominated film Paradise Now, Abu-Assad has utilized film as a means of exploring different manifestations of oppression. Abu-Assad's most recent film,Omar, premiered at the 2013 Cannes Film Festival where it received a standing ovation and was awarded a jury prize for Un Certain Regard, an award that recognizes young talent and innovative and daring works. Interwoven with a tragic love story, the film follows two Palestinians living under Israeli occupation who struggle against forces that threaten to tear them apart. "Most love stories are built on the same elements; two people love each other, the reader or audience loves them, and wants them to be together," says Abu-Assad of the film. "By telling a love story, people will identify themselves with the story and become part of the situation." The highly acclaimed film breaks new ground by being one of the first films to be almost fully funded by the Palestinian film industry. "For the first time, we convinced businessmen from Palestine to invest in the film industry. It's incredible," says Abu-Assad of the film. "I grew up without a television so the first time I went to the cinema it had a huge impression, and I went every Sunday after that," recalls Abu-Assad. The film One Flew Over the Cuckoo's Nest had a formative impact on Abu-Assad's life. When he first saw the movie, he said, "I realized how film could be a metaphor for our situation of oppression." Born in Nazareth, Abu-Assad left for Holland when he was 18 years old. "I had priorities at the time to have fun, make friends, study and gain knowledge," recalls Abu-Assad. "These were things Nazareth couldn't provide so I left for Holland to explore life." Once in Holland, Abu-Assad pursued a degree in airplane engineering, a profession he worked in for two years before entered the film world as a producer. "Cinema is my language of expression," says Abu-Assad, "a tool that I can use to view what's going on. It becomes a kind of resistance." 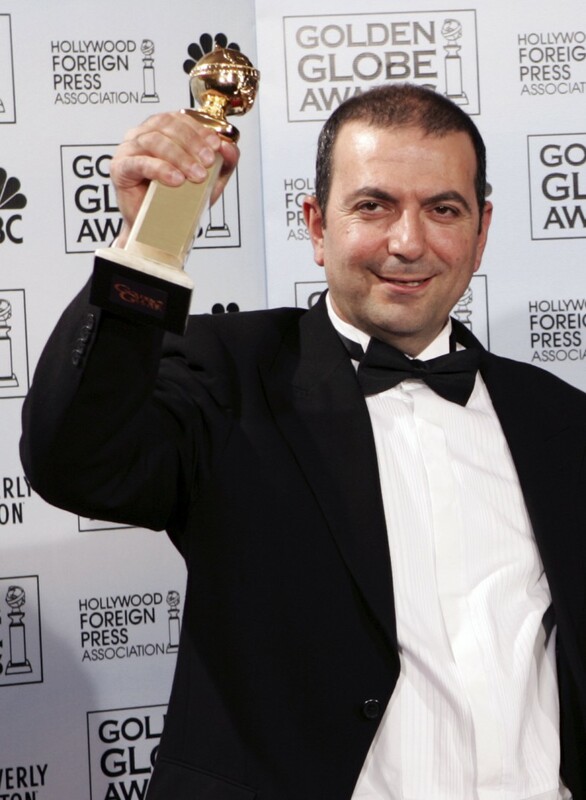 Abu-Assad has since gone on to produce, direct and write some 13 feature films and documentaries to great success. One of his most renowned films, Paradise Now, follows two Palestinian men as they prepare for a suicide attack on Israel. The film was nominated for an Oscar and won various awards including a Golden Globe. Abu-Assad has said [link to Guardian article where he says this] of Paradise Now that "[the] film is an artistic point of view of that political issue. The politicians want to see it as black and white, good and evil, and art wants to see it as a human thing." As Abu-Assad became successful in film, he followed his work, spending the next two decades of his life in Los Angeles, Rio and New York. In 2012 Abu-Assad wrapped up work on a new film, The Courier, which diverges slightly from his previous projects. "I was hired to direct the movie. I was not part of the creation of this project, which makes you feel more like a stage manager than a director. Nevertheless, it is a nice action thriller." But for Abu-Assad, a love story's ability to transcend time, place and culture is what makes his most recent film, Omar, so important. "When I turned 50, my priorities shifted again. I wanted a place of my own and not only temporary places. I didn't want to follow my work, I wanted my work to follow me," explains Abu-Assad. "That's why I decided to move back to Nazareth. Family is around me, and friends." Abu Assad also stresses the dire need for creative cultural resistance on the part of Palestinian citizens of Israel like himself, and insists this was another factor in his return to Nazareth, the city his family has lived in for hundreds of years. "Anything that isn't Jewish is treated as a threat to the state of Israel." "I am part of the non-violent resistance against the occupation of Palestine," says Abu-Assad. "Artistic resistance requires you to make projects that extend peoples perceptive boundaries."